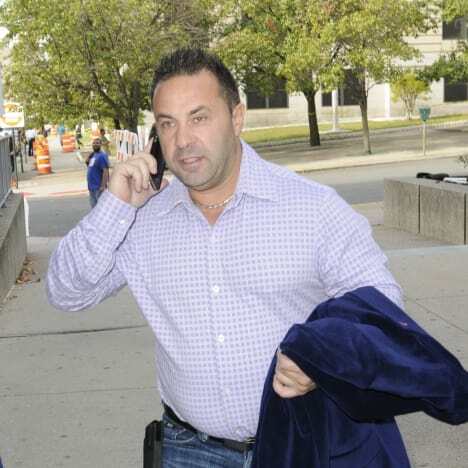 Last week, we learned the heartbreaking news that Joe Giudice will be deported to Italy after his release from prison. Eldest daughter Gia Giudice is rallying support for her father in the hope that he can win his appeal. 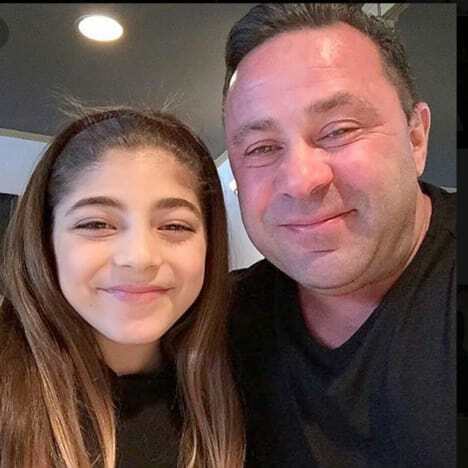 And now, so is his younger daughter, 12-year-old Milania. You can read her impassioned plea below. 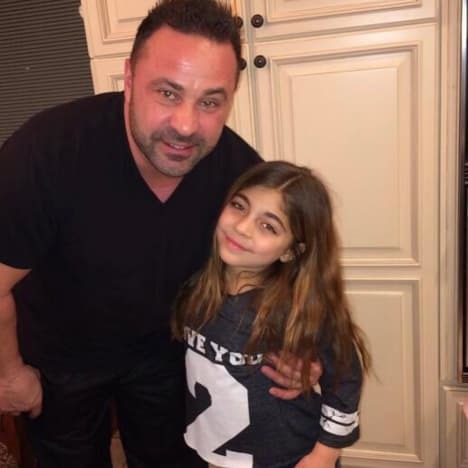 Milania Giudice took to Instagram and shared a pair of throwback photos that she took with her father before his incarceration. “My dad,” Milania begins her captions. That more or less how you’d expect a man’s 12-year-old daughter to describe him. “We aren’t done fighting, dad,” Milania promises. Joe has 30 days (fewer than that, now) to appeal the court’s ruling. “I can’t believe this is happening,” she admits. As someone who is not even a teenager, Milania was totally unprepared for the horrors that our world has in store for so many families. Joe has already been away from his family for long enough — serving his time for fraud. Until last week, Teresa and her daughters had been looking forward to his release in 2019. It was like the light at the end of the tunnel, when their family would be reunited. Milania admits that she can’t wrap her head around him being away from his family for even longer — this time separated by an ocean instead of bars. “I can’t imagine another day without you,” she writes. Milania vows that the whole family is working to see him returned home when he finishes his stint. “We are gonna do everything we can to fight this daddy! !” she promises. A few years in prison might seem like a short time for adults, but it’s a huge chunk of Milania’s life that she’s now enduring without her father. This deportation order could make a bad situation even worse. Milania concludes her message with a simple, sad tag. While Milania is fortunate to have two parents who love her and to live a privileged existence, she still wants her father in her life. And so do her sisters. As we mentioned, Gia Giudice also sent out a call for support in preventing her father’s deportation. Where Milania speaks from the heart, Gia’s passionate words come with a list of compelling arguments. Significantly, she mentions that Joe was brought to the United States at the age of one by his parents. Deporting him to Italy is deporting him from the only country and only home that he has ever known. Italy is a beautiful country, but that doesn’t mean that a person being shipped there upon release from prison would be the same as sending them home. But Milania makes a very important point — deporting him would fracture his family. Keonna Green Gives Birth to Nick Young’s Baby! Next story Dancing with the Stars Recap: The Most Shocking Elimination Ever?! Previous story Miranda Lambert: Blake Shelton Is a Man Whore & Gwen’s His Latest Victim!